My personal favorite image from the aurora event of Sept. 9-10, 2011. 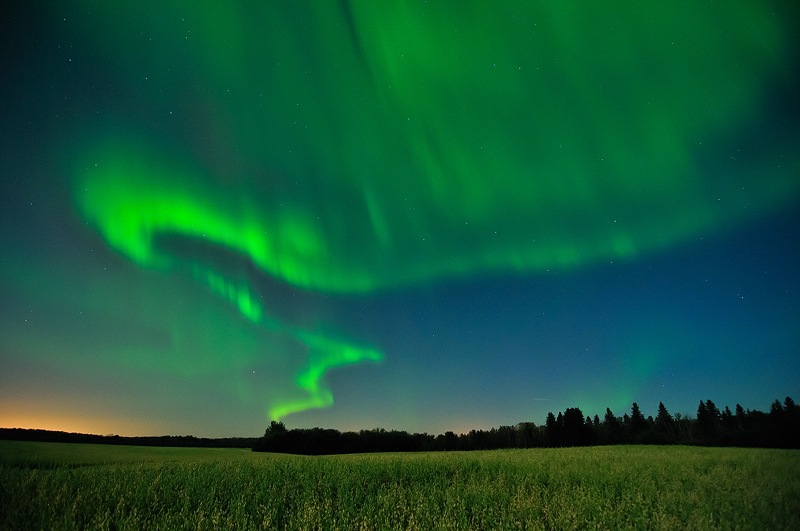 It is very rare to see the aurora so strong when the fields are still green. There was also a full moon this night, helping illuminate the foreground. I love how the northern lights appear to be coming of of a smoke stack.